Modern smartphones house all kinds of technologies – they have RAM memory, fast processors, cameras to take pictures with, storage memory and more that allow you to do almost anything. Yet, there’s something they miss – they won’t allow you to zoom in on things so that you can see the smallest details. Now there’s every chance that this will change very soon. 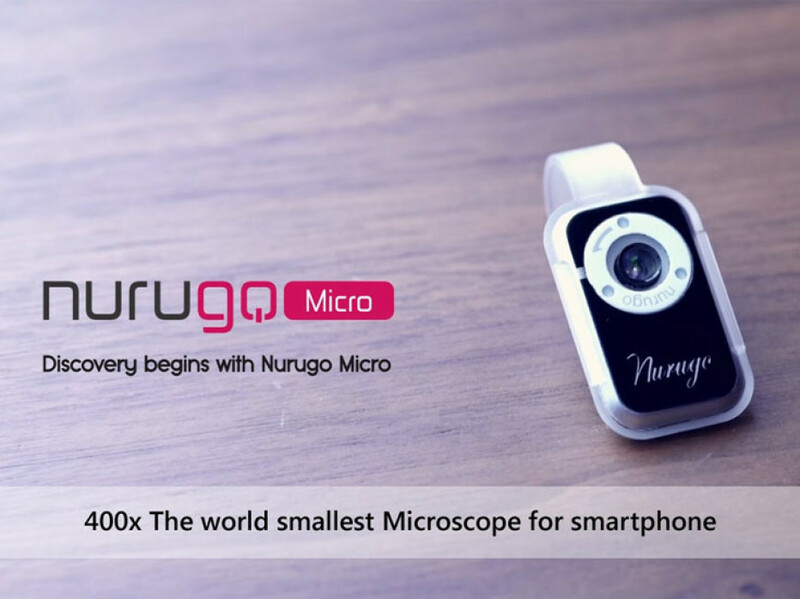 A new Kickstarter project collects money for a new and interesting device that is called Nurugo Micro. This device can become the first microscope, designed for and used in smartphones if everything with the project goes well. Nurugo Micro works as an attachment to any smartphone and can enlarge an object 400 times so you will be able to see very tiny things that are around you. Still, the microscope needs plenty of light to work properly and that’s why it comes with a Lightguide, which utilizes the LED from the smartphone as a light source. It also prevents the loss of light. What’s even better is that Nurugo Micro does not need a battery to work – it uses the smartphone’s battery for its needs. Unfortunately the magnification level depends on the smartphone used so you may not be able to zoom in 400 times but the good news is that there’s a special application that allows users to take pictures of objects magnified with Nurugo Micro. When released the microscope will sell for USD 39 and the official launch is expected in May of this year. The Nurugo Micro should get to the market with no problems – the project has gathered USD 137 000 when it only needs USD 50 000 to finish successfully.